The uTorrent development team is working on a native Android BitTorrent client for smartphones and tablet computers. This will be the first uTorrent client for a mobile operating system, and most likely the only one. 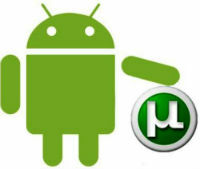 While development of uTorrent Android product is in progress, no ETA has been given for the first release. With 140 million active users each month, uTorrent is by far the most used BitTorrent client in the West. Despite this staggering statistic, there are still many opportunities for uTorrent to expand its user-base. In recent years mobile operating systems have become increasingly popular, but to date none of the mobile platforms has a native uTorrent client. But, in the near future this will change. Behind the scenes uTorrent parent company BitTorrent Inc. has been working on a new version of uTorrent that works on Android devices. Not a remote control interface, but a fully operational BitTorrent client. “Like any software company, we know a mobile experience is really important to our users,” BitTorrent inc. told us, adding that they don’t have a planned release date for the Android app. While BitTorrent is reluctant to share further details on the Android version of uTorrent, it is expected to have all the basic functions currently available in Windows and Mac versions. Aside from the new Android app, the uTorrent developers are also working on a native Linux client. The Linux version was announced in 2010, but put on hold as the core uTorrent client had evolved considerably since the original plan. While Android users may enjoy uTorrent on their smartphone and tablets in the future, for iOS fans there is little hope that there will ever be a native uTorrent application. Apple notoriously bans all applications that have anything to do with BitTorrent. The company argues that BitTorrent is often used to infringe copyrights and that such applications are a no-go for the App Store.